Spring has sprung and the weather is getting warmer; it’s swimming season yet again! Whether you winterize your pool or leave it open during the colder months, spring is the perfect season to get your backyard oasis back in tip top shape. 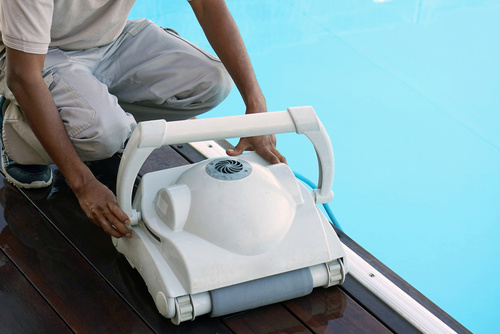 At Triangle Pool Service, we encourage our customers to add their pool maintenance to their spring cleaning To Do list. The pollen count in spring is notoriously high. You may have noticed a light dusting of yellow pollen on your car in the morning. Unfortunately, this dusting of pollen also falls into the water, collecting on the surface before sticking to the edges. When you see a yellow ring around the edge just above the water line, it’s time for a good brushing. Keeping the lining clean of pollen, dirt, and algae will help extend its lifespan and keep your water healthy. Use a brush to scrub the walls of your pool; the dirt and grime will eventually settle on the floor to be vacuumed up later. A dirty filter causes high filter pressure which puts unnecessary stress on your pump. Checking the filter on a regular basis and clearing out any debris will prevent break downs and cuts back on the floating debris. The more leaves, branches, and bugs that the filter collects, the less you’ll have to vacuum. If you have any problems with the filter or the pump, call a professional for pool maintenance in Largo. Sweep and clear off the deck regularly to keep debris from blowing into the water. Leaves, dirt, and branches that collect on the deck can easily make their way to the bottom of your pool. A clean deck can prevent unnecessary skimming and vacuuming. Before swimming season gets underway, we suggest having pool maintenance service for your Largo home. Our technicians will ensure that your system is working properly for the upcoming summer months. This way, you can have any issues resolved without wasting swimming days. 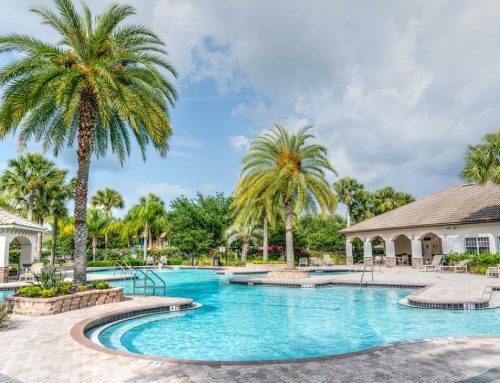 Give us a call at (727) 531-0473 or contact us online to schedule an appointment or learn more about our pool cleaning service.